Buddy Griffith (Violin, Viola, Cello, Bass) began his musical studies on the violin and guitar, but then became interested in the bass as he became an avid music listener. As a middle school student, he began learning the double bass in orchestra, and went on to earn his B.M. in Music Education and B.M. Music Performance from SUNY Fredonia. 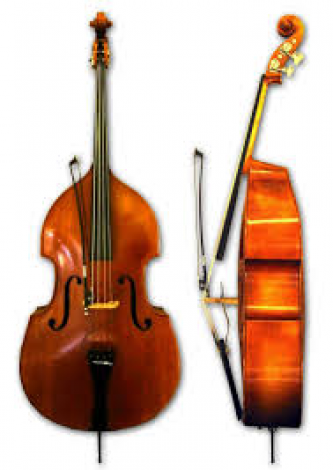 He has studied bass with Harry Jacobson and Phil Helm. As an active bassist, Buddy frequently performs in local orchestras, musical productions, and various combos and chamber ensembles. He also actively performs and records with The Bottoms Up Dixieland band and Rock group, The Parthenon. In addition to playing bass and other stringed instruments, Buddy enjoys composing and conducting. He currently teaches 5th-7th grade Music at George Fischer Middle School in Carmel, NY. Listen to Buddy on our video page. My Best Gig: Yo-Yo Ma was a guest soloist with my college orchestra. What a great experience. Favorite Rock Band: Right now its a tie between Cold War Kids, Death Cab for Cutie. Favorite Jazz Artist: I listen to the Original Dixieland Jazz Band a lot. Can't say I have a favorite individual artist though. Music teacher who inspired me the most: Thats a very hard question to answer. All of my teachers have been supportive, encouraging and inspiring.